David Fleming my be my favorite mind of the lat century. The man is a true philosopher of gifted insight, balanced with a heart for the read subtle details of live experience. This is a book to be chearished, and it cannot truely be finished, every entry comes alive in a new light on and give day it is read. This book more than any other on its shelf is a treasure from our civilization to the future, help carry it on, please. 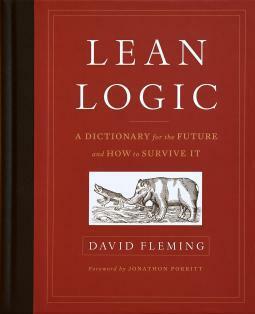 Sign into Goodreads to see if any of your friends have read Lean Logic.